The Fox Broadcast network debuted a new “special presentation” slate for the 2018 State of the Union Jan. 30. The new look continues the use of the network’s “Special Presentation” branding over the “breaking news,” “special report” or “Fox News Alert” banners used elsewhere. Since the design is for the Fox broadcast network, the word “channel” is not included in the look. 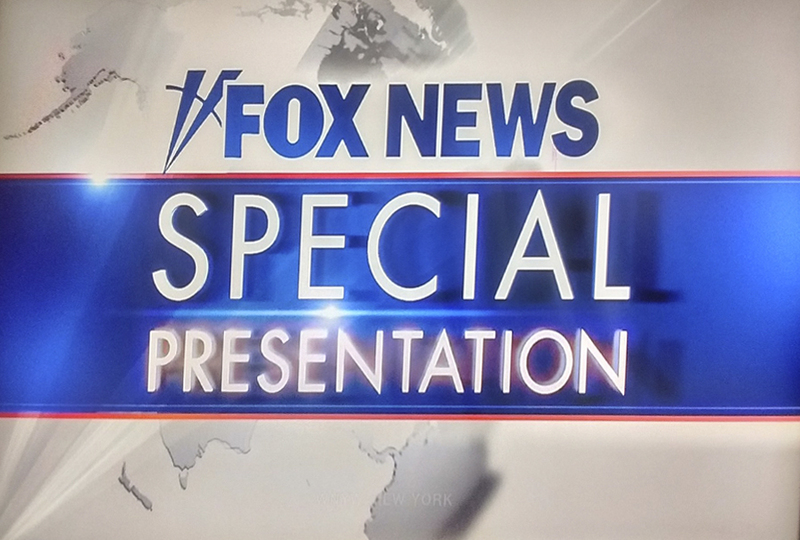 The updated design features a horizontal version of the Fox News logotype with searchlight icon to the left and the words “Special Presentation” in larger, all caps letters below, with a blue box with red edges around it. Behind all of this is a white and gray rendition of a world map.